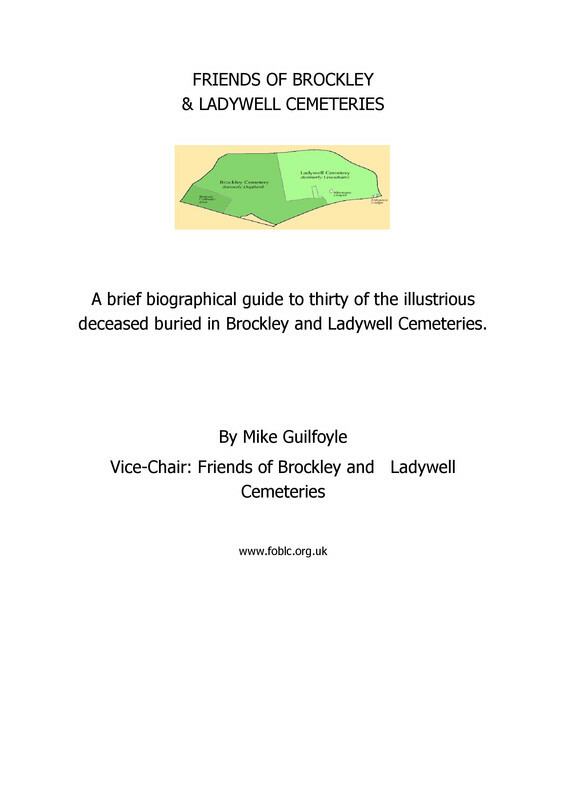 Continuing our series on remarkable people buried in the Brockley and Ladywell Cemeteries, Mike Guilfoyle has kindly supplied this piece about Margaret McMillan. Margaret was born in New York in 1860 but brought up in Inverness. After being educated in Germany and Switzerland, she worked as a Governess. 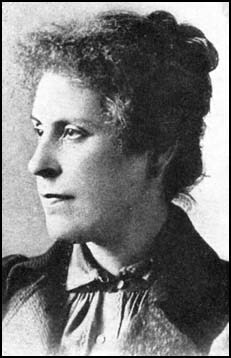 Whilst living in London with her sister Rachel (1859-1917) she became interested in William Morris and Fabian Socialism. Having befriended Kier Hardy she became a founder member of the Independent Labour Party. Whilst living in Bradford she was responsible for the first medical inspection of school children, battling to improve the lives and conditions of the poorest families. Returning to London in 1902, working in the poorest parts of Deptford, she was instrumental in the campaign to introduce free school meals for all children. Margaret opened a clinic in Evelyn street, which provided the earliest known dental treatment for working class children. 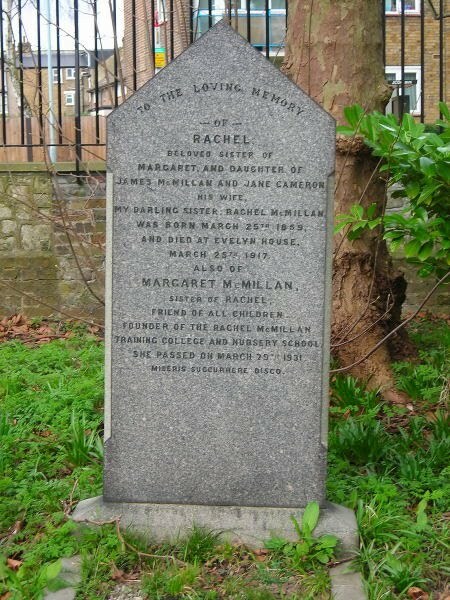 Soon afterwards she founded the first open-air nursery (Rachel McMillan Nursery School) dedicated to her sisters memory. In 1919 Queen Mary visited the nursery. Margaret was insistent that Nursery Teachers needed proper training and in 1930 a Training College was opened by the Queen. In the same year she was made a Companion of Honour. One of the guest lecturers at the College was the eminent playwright, George Bernard Shaw, who on one occasion allowed one of the " lovely brats" to pull his beard and call him beaver! A tireless campaigner for childrens and workers rights (she supported the campaign for a minimum wage of sixpence an hour known as the Dockers tanner) Margaret McMillan died in March 1931. George Bernard Shaw fondly remembered her as " not only one of the best women of her time.. but also one of the most cantankerous, and she owed a great deal of her effectiveness to the latter useful quality". 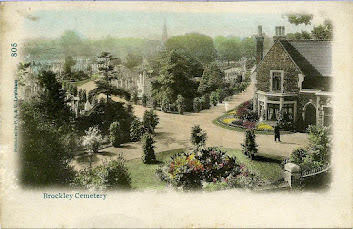 Margaret lies buried with her sister Rachel in the cemetery close to the Brockley Road entrance.